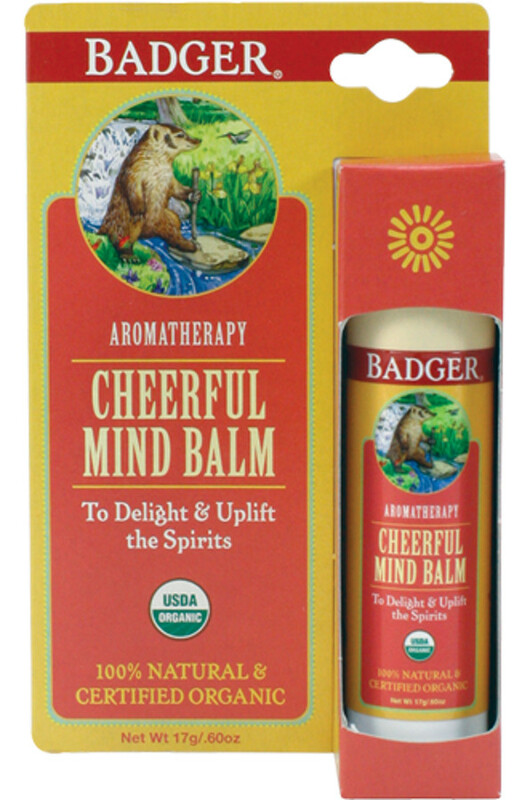 End a tough day cheerfully and in a happy mood with this organic balm. Citrus smells are said to bring on a more joyous mood so let essential oils of lemon and sweet orange fill the air around you and fill your mind with cheeriness, while the smell of spearmint wards away bad moods. Then enjoy the flowery smell of ylang ylang in order bring a smile to your face. *olea europaea (extra virgin olive) oil, *cera alba (beeswax), essential oils of *citrus auranitum dulcis (sweet orange), *citrus medica limonum (lemon), *mentha viridis (spearmint), *rosmarinus officinalis (rosemary verbenone), *cinnamomum cassia (cinnamon), *citrus aurantium amara (bitter orange), *cananga odorata (ylang ylang), and co2 extracts of *rosa canina (rosehip) & *calendula officinalis (calendula). 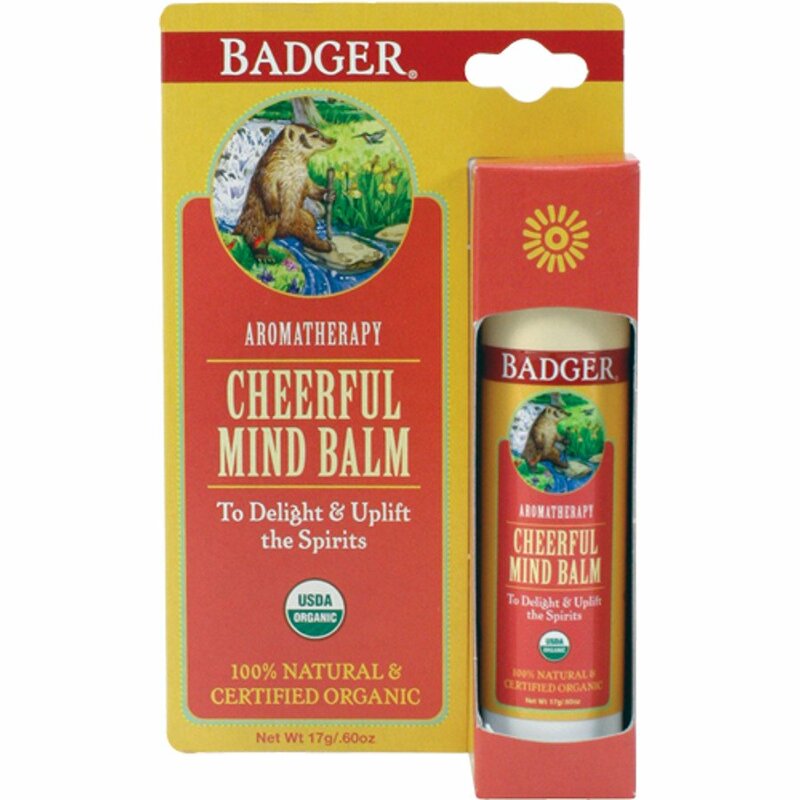 There are currently no questions to display about Badger Balm Cheerful Mind Balm - 17g. Badger Balm, for adults and babies alike, is lovingly made using the purest, most natural, organic ingredients. These ethical skincare products contain no chemicals, preservatives, synthetics or GMO’s. Each balm is rich in relaxing and calming vitamins, minerals, enzymes, and anti-oxidants, all especially blended to soothe, heal, and pamper the most delicate skin. Badger never tests its products on animals. The company takes its stewardship of the environment very seriously and reuses, recycles and composts as much as it can in order to reduce waste and minimise the company’s impact on the environment.